This weeks "I want what she has!" goes to Amanda Anderson! As most girls are, I am totally a sucker for shinny/sparkly things! I was sitting about 4 people away from Amanda when she took this off to show someone. The sparkle caught my eye and I quickly made everyone pass it down to me! What a beautiful bracelet! Has anyone ever heard of Premiere Jewelry before? Why is it that I have not?! Love this bracelet Amanda, great find! 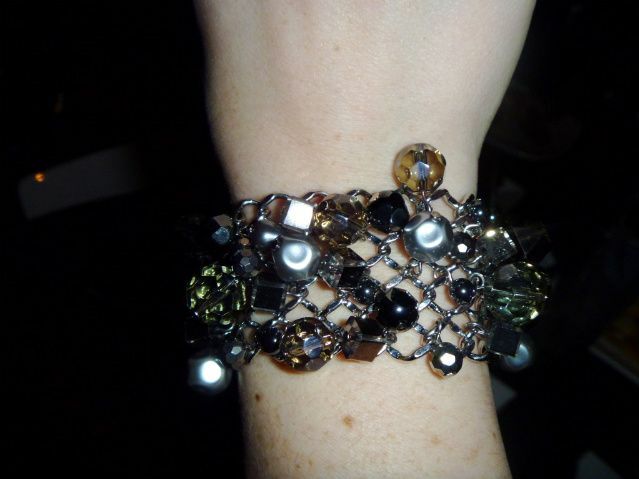 Very fun bracelet! I too am a sucker for shiny sparkly things!! Esp shiny sparkly jewelry!! Great bracelet, even better price!